Darius Daughtry, Founder and Artistic Director of Art Prevails Project. 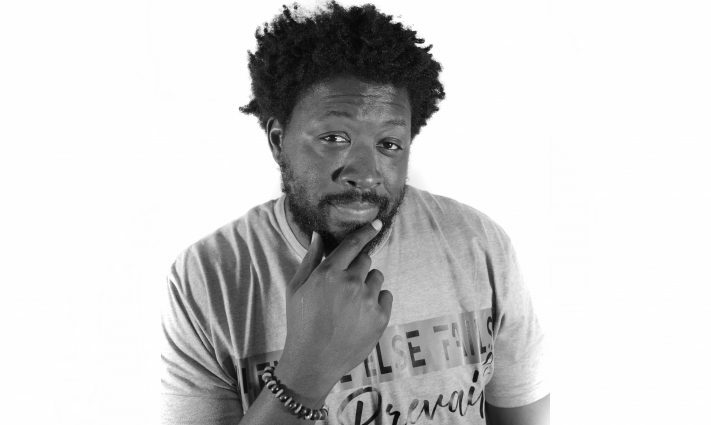 Darius Daughtry, founder of the Art Prevails Project, a nonprofit performing arts collective, is an advocate for creative education, expression and identity within our local community and beyond. As a recipient of the Cultural Division’s Community Arts Education Partnership grant, Daughtry was also selected as one of seven local artists to benefit from a $35,000 award to the Cultural Division from the Fonda and H. Wayne Huizenga Jr. Family Trust Fund, Gary J. Scotto Fund and Mary and Alex Mackenzie Community Impact Fund of the Community Foundation of Broward. This support, paired with Daughtry’s ingenuity and resources provided through his role as a Sistrunk Artist in Residence, he has been able to expand his production of The Happening: A Theatrical Mixtape, Volume II. After the positive response to Volume I’s track list, performed in 2017, Daughtry maintained the same strategy for Volume II; producing a theatrical mixtape that expresses a narrative in a mixture of ways, warranting a dynamic show for the audience. The first “track”- or, in this case, performance – of this “mixtape” will introduce the storyline and serve as a transition to the next routine; each building off the last to develop the plot. Volume II’s track list will be performed at the African American Research Library and Cultural Center (AARLCC) July 28th at 6:30 pm. General admission tickets $25 online, $35 at the door; the VIP after party is available for $40 online, $50 at the door. Everyone is invited to attend this powerful, multi-disciplinary production. 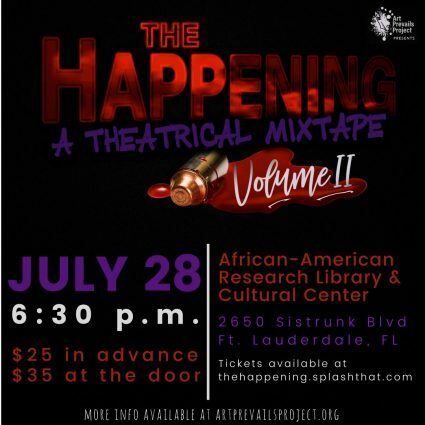 A riveting, multi-disciplinary production featuring drama, dance, poetry, and music. Click for details and tickets. The Community Foundation’s support allowed Daughtry to strengthen his production team by allowing him to bring in additional crew members and set designers to facilitate the event. The additional support from the Community Foundation also provided the opportunity for Daughtry to add a special pre-showing performance on the 27th of July for an audience of summer camps, youth groups and juvenile detention facilities and is taking place from 2 – 3:30 pm at AARLCC. Daughtry has plans for Volume III and is continuing his efforts toward traditional performances and producing a musical. their touring band. Well, the question that everyone has been dying to have answered accepts.